The FC Barcelona coaching staff announced on Saturday morning the list of players travelling to Bilbao for Week 2 of the 2016/17 La Liga. Kick-off at the eternally raucous San Mamés is set for 8.15pm CET. 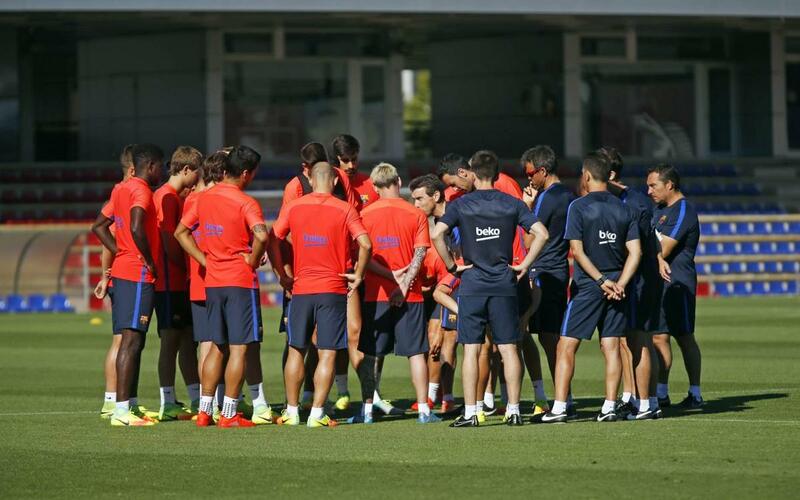 With a big opening day victory behind them, Barça wrapped up training earlier Saturday before announcing the squad list. The team will fly to Bilbao on Sunday morning. All available first team players took part in Saturday's session. They were joined on Tito Vilanova Field by the reserve players Marlon, Cámara and Gumbau. Saturday was also the second day of training for new goalkeeper, JasperCillessen. Manager Luis Enrique Martínez's list for the match at Athletic Club includes goalkeeper Marc-André ter Stegen and defender JavierMascherano, both of whom have recovered from their injuries have been given the medical all-clear. The midfielder Rafinha, fresh off winning the gold medal at the Summer Olympics in Rio, also returns to action, as does summer signing AndréGomes, who sat out last week's victory with a suspension. Left off the list are the injured midfielder AndrésIniesta and defender JérémyMathieu, as well as Olympic hero NeymarJr. — who has been granted permission from Luis Enrique — and Cillessen, the newest member of the team. Here's the full list for Sunday's game: Ter Stegen, Masip, Piqué, Rakitic, Sergio, Denis, Arda, Suárez, Messi, Rafinha, Mascherano, Munir, Jordi Alba, Digne, Sergi Roberto, André Gomes, Aleix Vidal and Umtiti.